Here you can find a comprehensive guide that details the very best yoga mats for your child to enjoy. First, though, lets take a look at the benefits of yoga for children. Yoga is known for being incredibly beneficial to the human body. While it is mostly practiced by adults, many parents are beginning to enlist their children in yoga classes. This is because it helps to ease the daily faces which even our children face, and because of many other benefits of yoga; such as, increased flexibility, concentration, relaxation, and a deeper connection with the inner self. That’s not to mention that your child will also be getting more exercise. The physical nature of yoga provides a unity between your child and the environment around him or her. That being said, it’s important to know which yoga mats are best for your child. Even if you don’t have an incredible amount of money to spend on your mat, you can buy a very good one with very little cost. 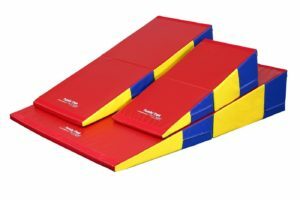 If you don’t buy a decent mat then you risk the buildup of bacteria and the deterioration of your yoga mat, which hinders your child’s practice and overall experience. This kids yoga mat from Chi Universe (Amazon link) is absolutely essential for every household. One of the hardest parts of yoga is learning where to align your body on the mat and in relation to the rest of your body. If a child’s parents have a hard time with this, then the child will obviously struggle as well. 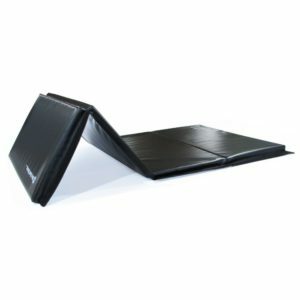 That’s why this mat is ideal to any child who’s trying to learn yoga. The best part? There’s a game included! 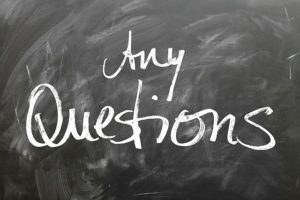 What little boy or girl doesn’t appreciate a good game? With every mat, you’ll receive 108 yoga poses and symbol combinations that will make yoga easier to understand for your child. Not only will it be easier, but your child will have a better time learning and because he or she will have an easier time positioning him or herself, your child will be much more motivated to practise. 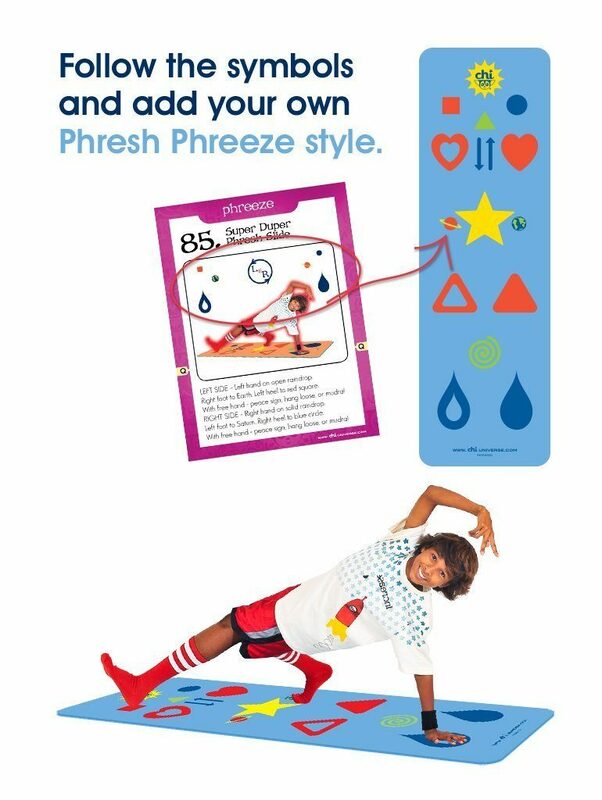 You can also get a mat to practise side-by-side with your son or daughter. The kids size fits children from the ages of four to nine; meanwhile, the larger size is large enough for teenagers and adults that are from 4’6 and 5’11”. 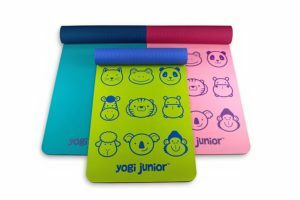 Yogi Junior’s kids yoga mat is the one of your child’s dreams. With this yoga mat, you can get your child started with his or her yoga mat from infancy and continue with the same one until he or she is seven years old. Beyond this, the Yogi Kids Yoga Mat is lightweight, which makes it easy for your child to carry around to daycare, to school, etc. This means you don’t have to wake him or her up early to get in that morning practise; instead, your child can practise on-the-go! The exercise mat is also recyclable. With the planet’s current global warming crisis, it’s important that we use materials which lessen our impact on the Earth. Among its other perks, the mat is hypo-allergenic. Your child does not have to be restricted by a kids yoga mat that is harmful to his or her health. It’s made without latex, without BPA’s, and without Phthalates. 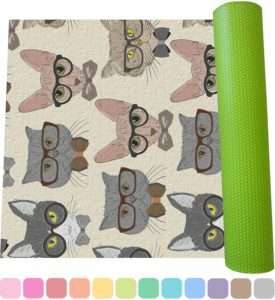 This yoga mat is the best for your child because it’s designed with animal faces. 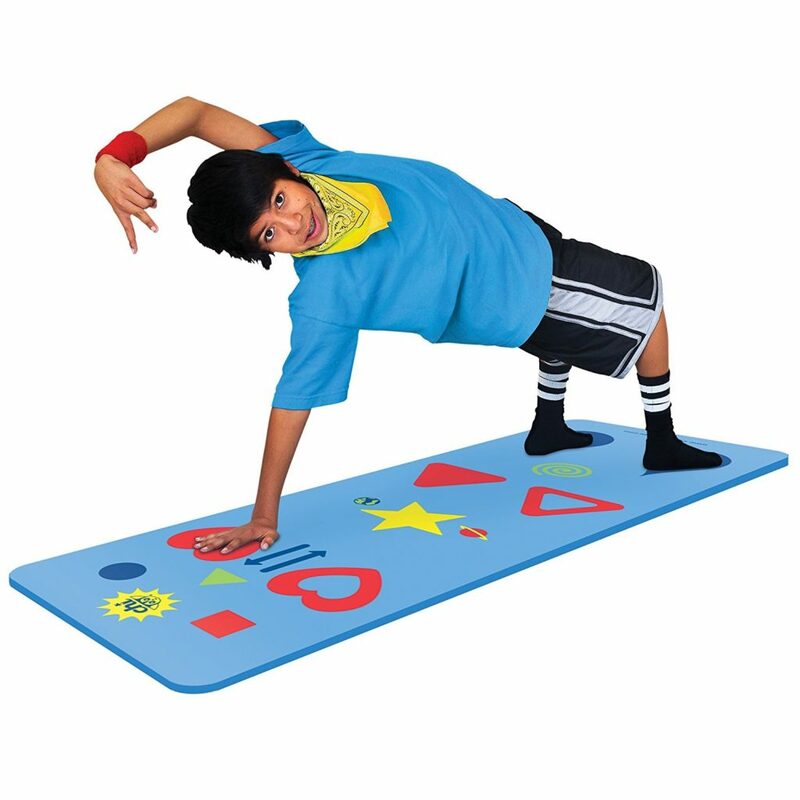 Yoga mats like these make your child’s experience an absolute joy. Plus, they’ll have the opportunity to show off their adorable mat to their friends. At only forty dollars, this yoga mat is a true gem. The Gaiam Kids Yoga Mat comes in several colours: from zebra and pink to puzzled and green. 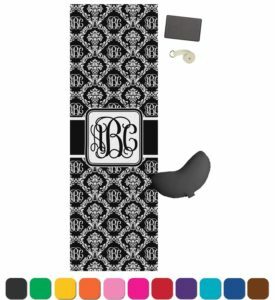 Because of this, you have the opportunity to provide your child with a yoga mat that suits his or her every need and style. 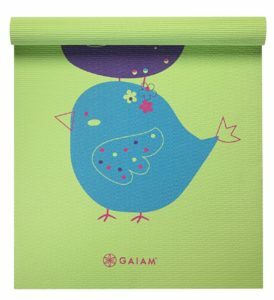 Gaiam is best known for its reliability as a non-slip yoga mat. Everyone knows that a child loves to move around and play. With this yoga mat, your son or daughter will not fall as he or she moves from position to position. Like the Yogi Kids Yoga Mat, Gaiam’s Kids Yoga Mat is free of Phthalates, which is the salt or esther made from phthalic acid and is an essential part of plastic products. Phthalates have been associated with several types of cancer; therefore, it’s best that you keep in away from your children. The package also comes with a bonus yoga class to teach kids how to do yoga. If you don’t practise, yourself, then you can learn alongside your son or daughter with the help of the downloaded class. Whether you buy the Roboto design or the Birdsong, this 3mm mat provides your child with the extraordinary ability to flow from baby cobra to downward dog flawlessly. 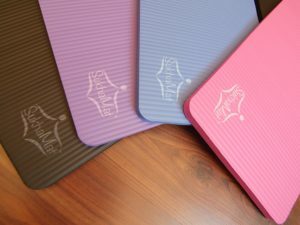 On the website http://myomlittleyogamat.com, you can find these yoga mats for both toddlers and children. From infancy to the age of four, you can buy your child the My Om Little Yoga Mat for Toddlers; meanwhile, you can buy the My Om Little Yoga Mat Ages 5-10 for children. 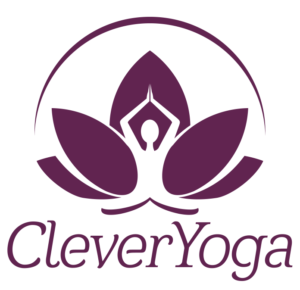 You can buy the yoga mat in several colors; including, orange, dark lavender, light blue, pink, and purple. This way, you can buy a mat that matches your child’s favourite color (or second-favorite because all children have a second-favorite color). The yoga mat only weighs about one pound; therefore, it’ll be incredibly easy for you to carry the yoga mat around so that your child can practice everywhere you go. If you want your little one to begin practicing yoga, then a kids yoga mat is absolutely essential. That being said, it can be difficult to know which yoga mats are safe to use and which ones are not good, overall. Above is a list of four yoga mats which are best for your child to use because they are free of harmful chemicals and provide extra entertainment to make sure he or she never gets bored!